Singer/Songwriter/Guitarist and Bon Jovifounding member, Richie Sambora, is set to release his third solo album, Aftermath of the Lowdown, on physical, digital and direct to consumer platforms, via esteemed LA-based indie Dangerbird Records on September 18, 2012. 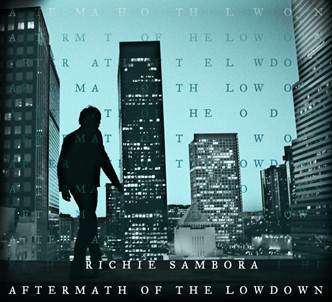 In a departure from his previous major label releases - Undiscovered Soul (1998) and Stranger In This Town(1991) - Sambora has returned to his roots, creating a vital and visceral album of raw power. The first single, “Every Road Leads Home To You,” is available below for the cost of an email address. 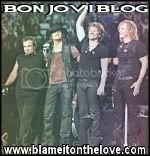 With Ebbin (whose works includes Bon Jovi, Melissa Etheridge, All American Rejects) as co-writer and producer, Sambora recruited A-list musicians Aaron Sterling (drums), Matt Rollings (piano/organ), Curt Schneider (bass), Rusty Anderson (guitar), and Roger Joseph Manning, Jr. (keyboards) to flesh out the songs and bring Aftermath of the Lowdown to fruition.